Designed by Selina Botham. 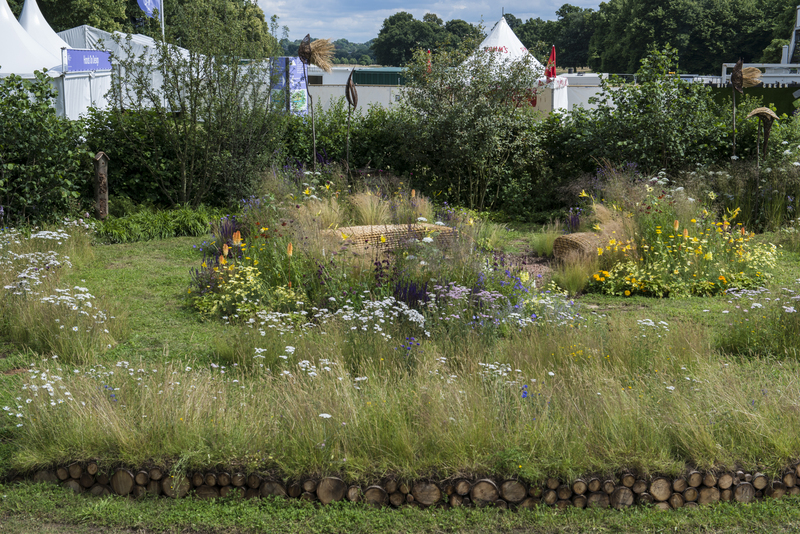 The 2014 Jordans Wildlife Garden has been developed to inspire visitors to bring a little bit of British Countryside into their gardens. The garden recognised that birds, bees and butterflies share the same garden and same natural larder as us. 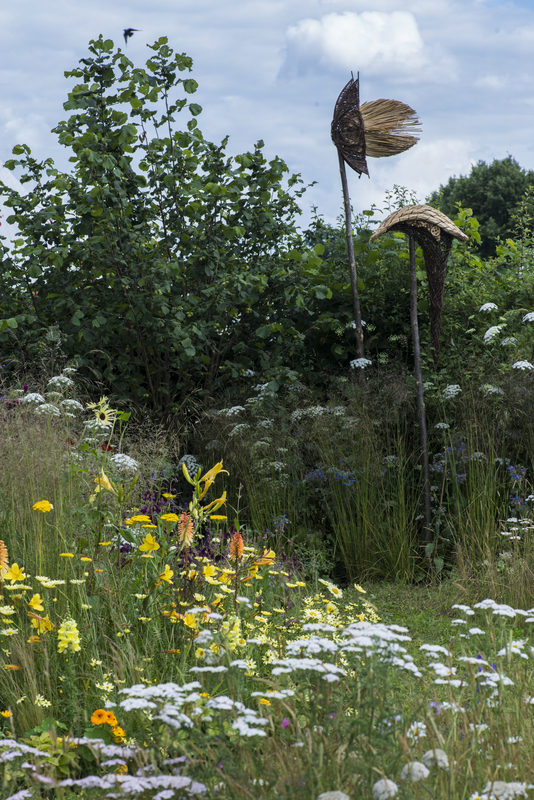 The wildlife garden designed by Selina Botham includes seasonal plants and wildlife features. Inspired by the Hampton Court maze, meadow paths curve through layers of soft naturalistic planting and into a central ‘nut terrace’ with calm reflecting pool. 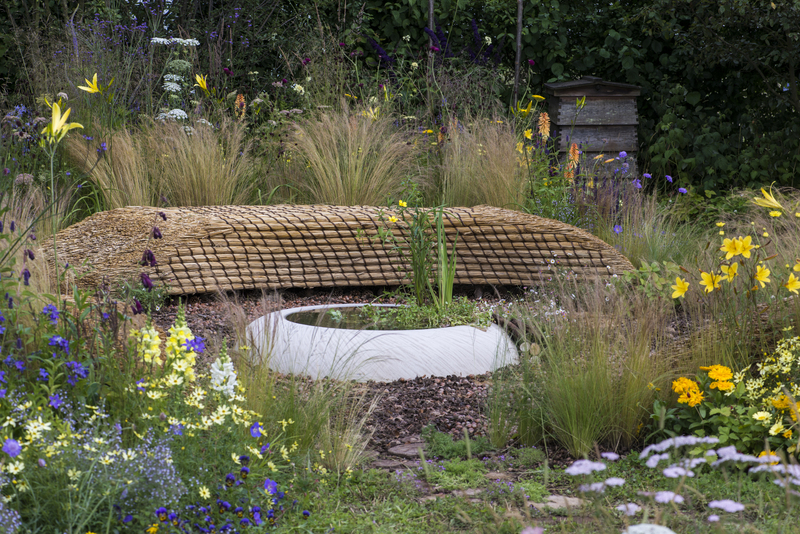 Taller planting and benches sculpted from straw bales create a greater sense of enclosure and a place to pause and contemplate the sensory delights of the soft, colourful garden.